There’s a pervasive idea in the recovery community that an addict needs to want to recover in order for treatment to be a success, and that in order to want to, they have to “hit rock bottom” and realize that their life is awful and it will never improve until they get treatment for their problem. While it’s true that many of the people we treat in our opiate rehab in Florida have a defining “rock bottom” moment that convinces them to seek treatment, it’s by no means necessary for an addict to hit rock bottom before seeking help from our Florida opiate rehab. What Does “Rock Bottom” Mean? Most people define “rock bottom” as the moment at which an addict has lost everything – job, family, home, etc. There’s a common misconception that addicts won’t recognize the need for treatment until they’ve suffered adequately. This belief stems from the outdated and incorrect assumption that addiction is a character flaw, a moral failing, or a poor choice, rather than a disease. An addict’s denial can be powerful enough to shield them from the impact of the negative consequences of drug abuse, but we help plenty of people in our opiate rehab in Florida who have not, in fact, lost everything yet. In fact, if you or someone you care about needs help from our Florida opiate rehab, it’s best get it as soon as possible. When it comes to addiction treatment and recovery, there’s no need to wait for things to get worse before they can get better. Addiction is a chronic disease – if you had diabetes, would you wait for the worst possible symptoms to manifest before you started taking insulin? No, of course you wouldn’t. You should think of seeking treatment from our opiate rehab in Florida the same way. The truth is, waiting for an addict to hit rock bottom before insisting that they enter our Florida opiate rehab could have tragic consequences. Addiction kills. You never know when your loved one might overdose. Don’t take the chance. Seek help from our opiate rehab in Florida before it’s too late. Addiction is like any other chronic disease in that the earlier you seek treatment, the better your chances of a full recovery over the long term. In fact, if you or your loved one seeks addiction treatment from our Florida opiate rehab early in the disease progression, before significant physiological damage has been done, and before addictive behavior patterns have had a chance to become too entrenched, there’s a good chance that your loved one will be able to recover without intensive, long-term residential treatment at our opiate rehab in Florida. 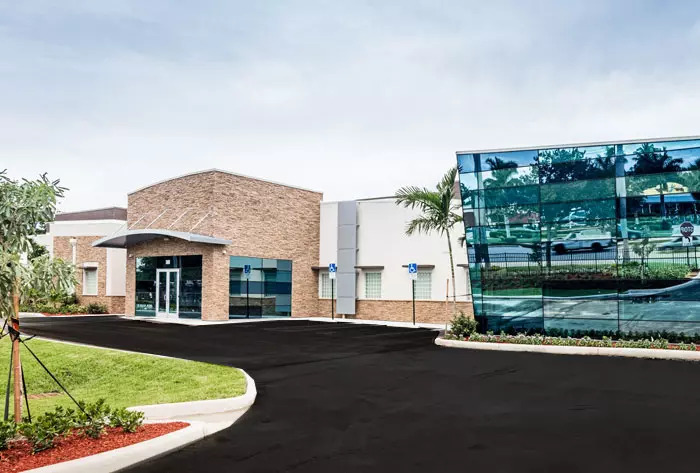 With early intervention from our Florida opiate rehab specialists, your loved one will have a lower risk of relapse and fewer long-term complications from opiate use. One of the most common myths of addiction treatment is that addicts have to want to recover or they won’t be able to. In fact, research shows that addicts who are coerced into going to rehab – either by loved ones or the courts – are just as likely to make a full long-term recovery as those who go completely of their own free will. If you have to make an ultimatum or otherwise coerce your loved one to seek help from our opiate rehab in Florida, you should. It will give your loved one the best chance of making a full recovery and living a long, full, healthy and happy life. If you or someone you love is struggling with addiction to opiates – like morphine, heroin, painkillers or methadone – our opiate rehab in Florida is here to help. We’ll create a personalized treatment plan tailored to meet your or your loved one’s unique needs, because we believe that cookie-cutter treatment programs simply do not work. Call FHE Health today at 1-844-299-0618 for free help from our caring counselors.